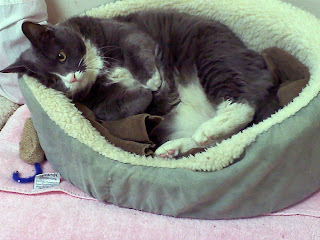 To see more pictures of our pal Conrad, check out our fellow PAWS volunteer's blog, Sundays at the Shelter. As he's gotten more and more comfortable with being at the shelter, we've seen Sailor's true personality emerge. And what a joy it has been! This kitty loves people, loves to play and loves to snuggle. He's also a talker (in a good way). 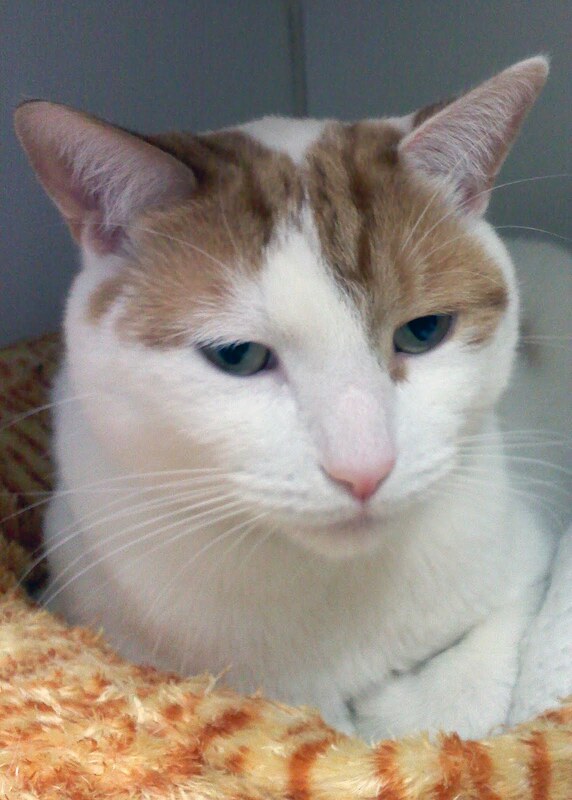 Five-year old Sailor is an indoor-only cat, who would do best in a quieter home with no children or other pets. 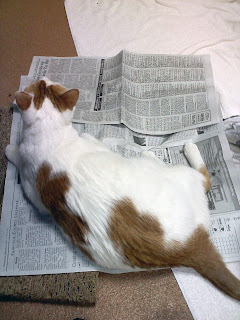 He's up to date on all his vaccinations, and has tested negative for FIV and FeLV. Sweet Claire was recently moved into PAWS Records Room. She quickly decided that she is "Queen of the Copy Machine." Gadget (to foster): Gadget, our talkative buddy who won the "Best Fantasy Costume" category in Hansel's 2010 Halloween Spooktacular, is doing extremely well in his foster home. His foster mom says he has made himself quite comfortable in just the short time he's been there! Sancha is an indoor-only cat, and would do best in a quieter home with no other pets. 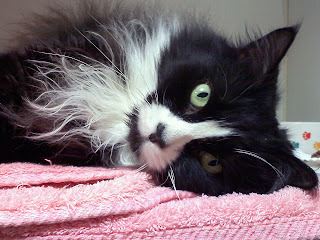 She is spayed, up to date on all her vaccinations, and has tested negative for FIV and FeLV. 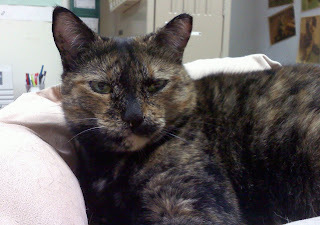 Won’t you consider opening your heart and home to this sweet lady cat?